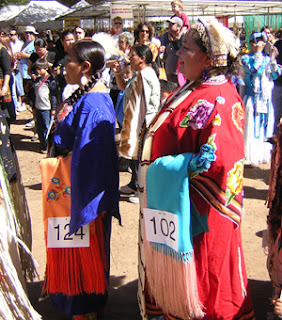 Our local Native American tribe, the Chumash, hosts an annual intertribal powwow. 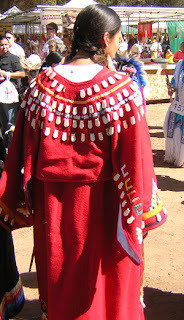 This was our second time attending, and we're learning a lot about the dancing, music and rituals that take place. Here are videos for you of two performances in the dancing competition. 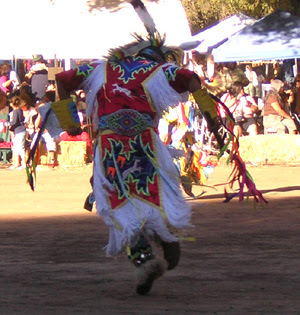 The first is the teen boys' grass dancing competition. Sorry about the poor quality and no sound! We didn't think to bring the camcorder, so these were taken with our digital camera. 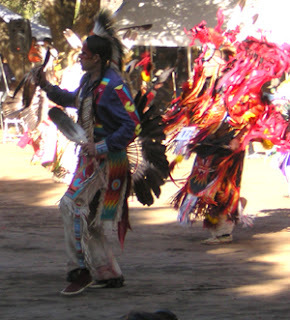 The second is the teen boys' fancy feather competition. 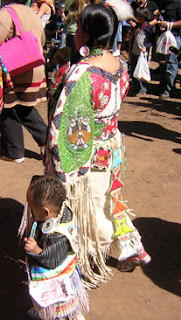 Just check out how elaborate these costumes are! 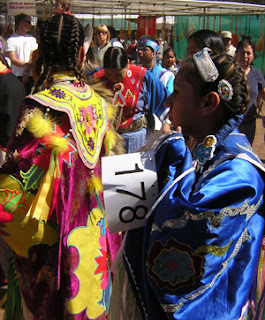 And here are pictures of some of the dancers as they wait to enter the arena.